Pumpkins are not the only veggies that can be carved for Halloween. 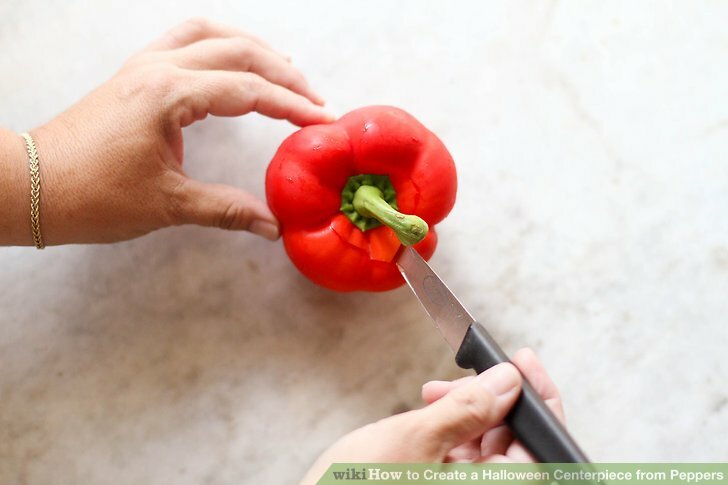 Carve red, orange and yellow peppers for a festive centerpiece. 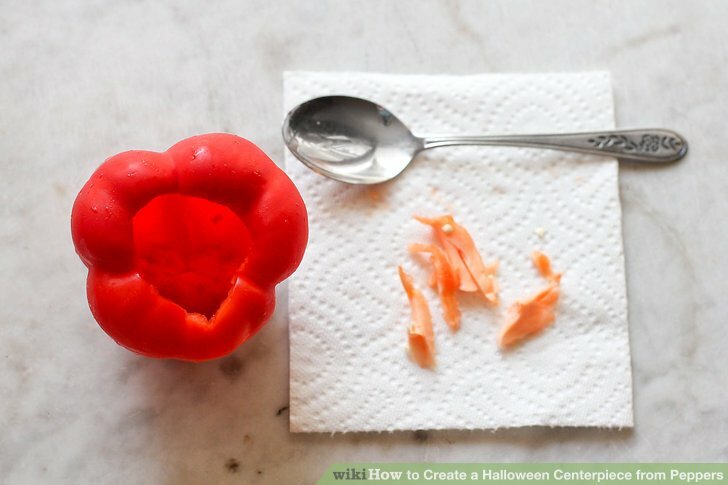 For this project you will need orange, yellow and red peppers, a paring knife and a spoon. If you want to light up your peppers, you will need battery-operated flicker lights. Start carving. This is not much different than carving pumpkins. First, cut the cap to access the inside of the pepper. 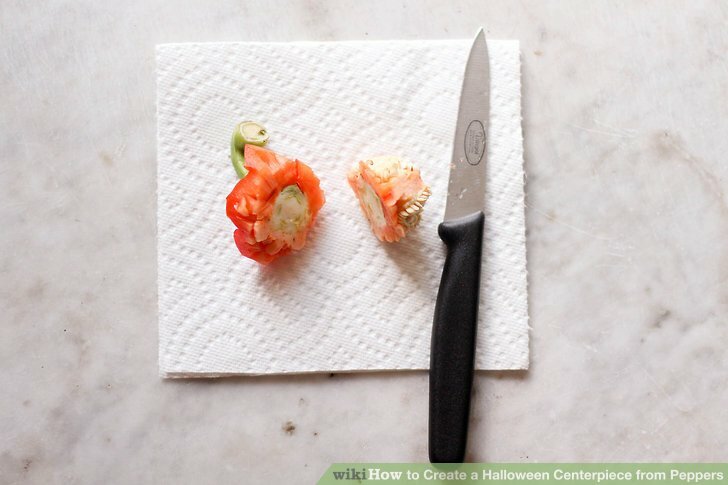 To do this, hold the knife at a 45 degree angle and cut in a circle around the stem. Stay about 2" away from the stem. Cutting at an angle will help keep the top from falling into the pepper when you put it back on. Trim the excess seeds and flesh from the cap. Do not cut too much off of the cap or it will not fit back on the pepper. Set the top aside. Use a spoon to sc**** out the white flesh and seeds from the interior of the pepper. Do not push too hard or you could push through the side of the pepper. 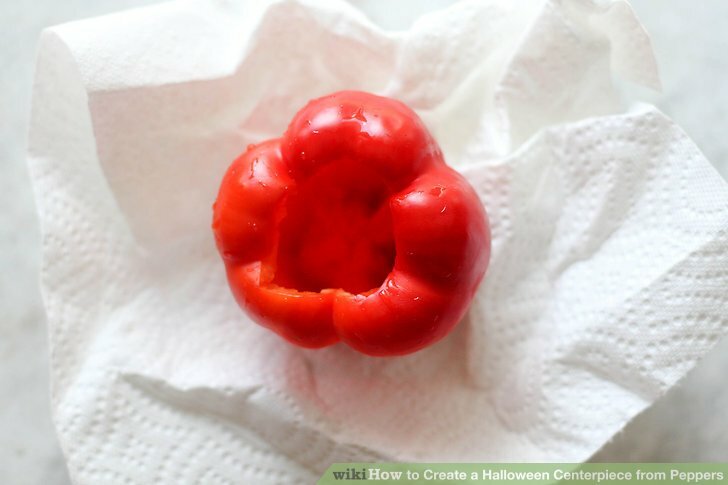 Rinse out the inside of the pepper. Pat dry. Cut out the facial features as you would a pumpkin. If you need inspiration for pumpkin faces, an internet search will give you limitless options. When done, place the cap back onto the peppers. 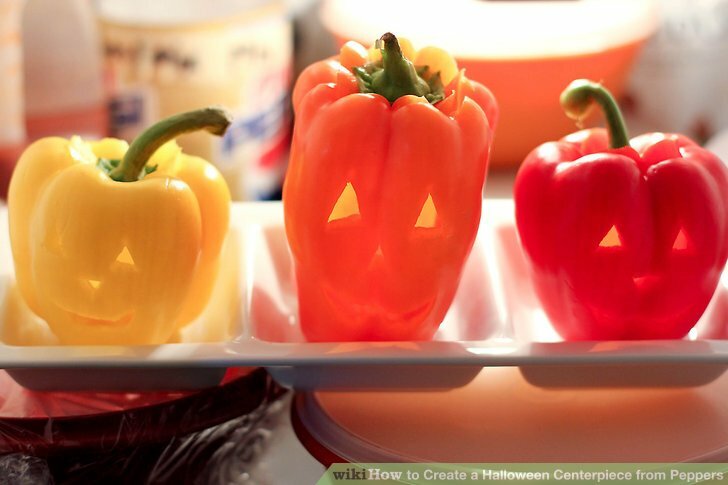 Keep your peppers in the fridge until you are ready to display them for your party or event. 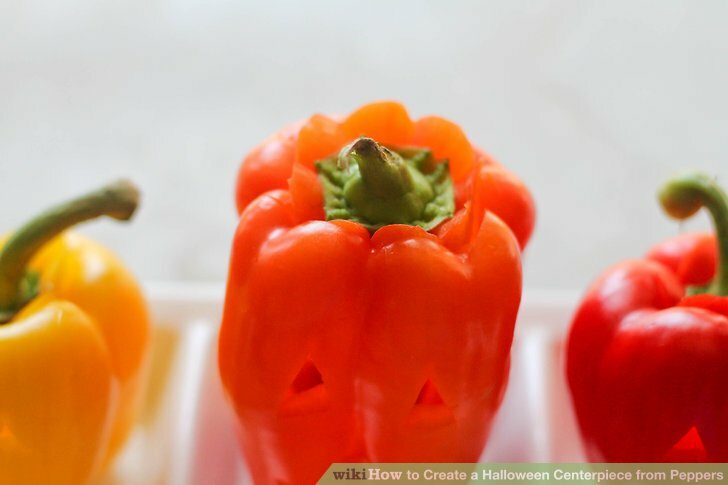 Store your carved peppers in the fridge until your are ready to use them. Choose firm peppers that will stand up relatively straight. 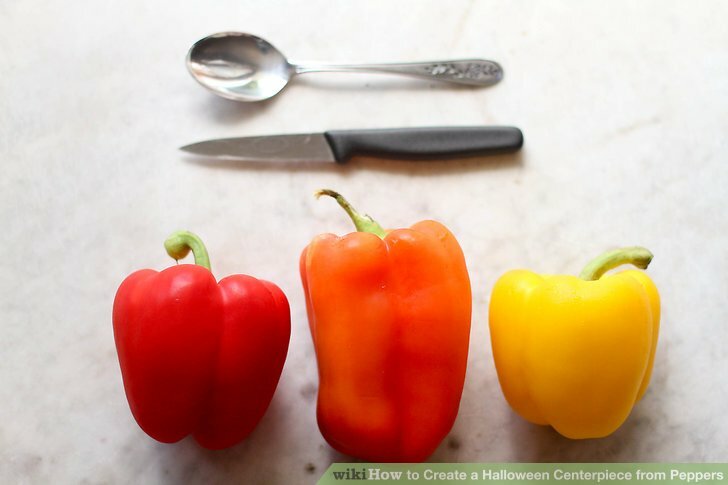 If your peppers will not stand, you may need to cut the bottom to level the pepper. 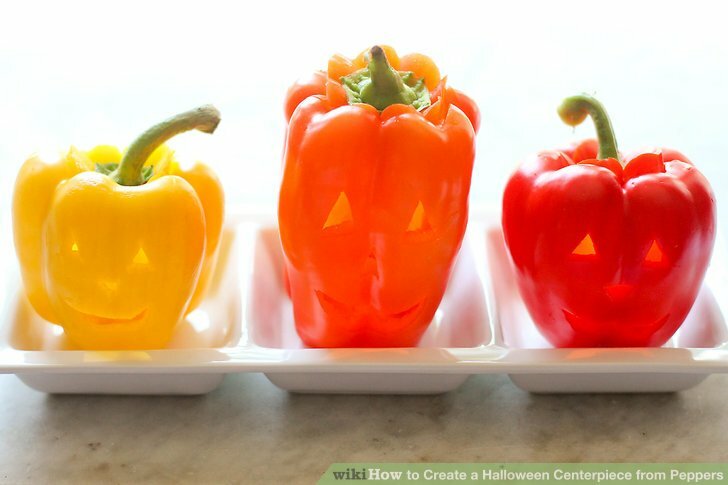 Once the peppers are carved and have set out as your centerpiece for a significant amount of time, do not allow them to be eaten. 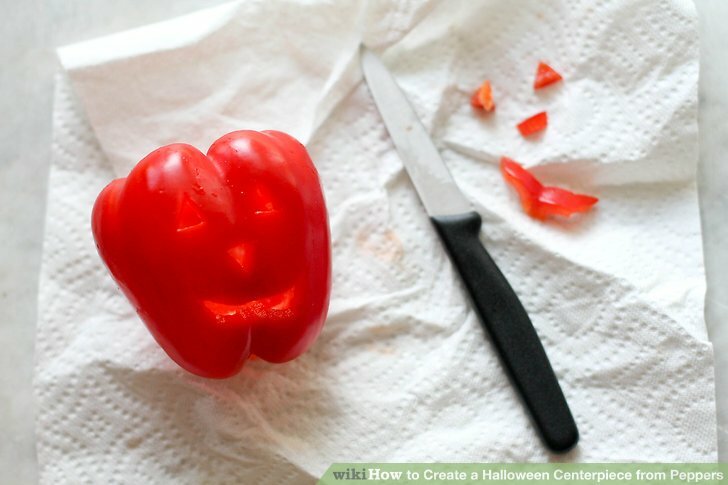 Peppers are very easy to cut so take care when using the knife to cut out the facial features. Unlike carving pumpkins, a light touch will cut easily. Do not put candles in your peppers. The inside of the pepper will burn quickly and the pepper will eventually collapse. Use battery operated candles.